The Porsche 917L was specifically built for Le Mans in 1970 but was unfortunately less successful than the 917K. But it remains a very important piece of Porsche's Racing history. 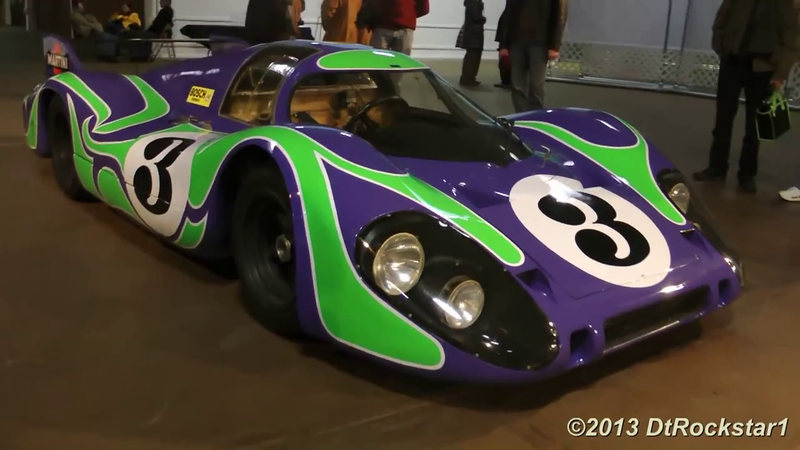 Only five were ever built and this example entered in 1970 by Martini Racing and famous by its psychedelic livery is the only privately owned model. You can see the "Hippie Car" in motion in the video after the jump.